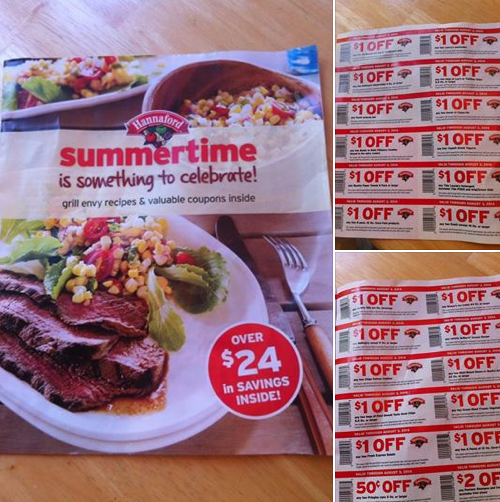 Hannaford: Summertime Is Something To Celebrate Coupon Booklet! Keep an eye out for the Summertime is Something To Celebrate store coupon booklet at your local Hannaford. My store had this on a table near the pharmacy. The coupons are valid thru 8/3 and can be used as competitor coupons at Price Chopper! Coupons of note: $1/2 Lay's or Tostitos Chips, $1/2 Cheez-its, $1/1 Silk Milk, $1/2 Chips Deluxe, $0.50/1 Pringles, $1/1 Breyers Ice Cream, $1/2 B&M Baked Beans, $1/2 Green Giant Frozen Vegetables, $2/1 any Pantene + More!